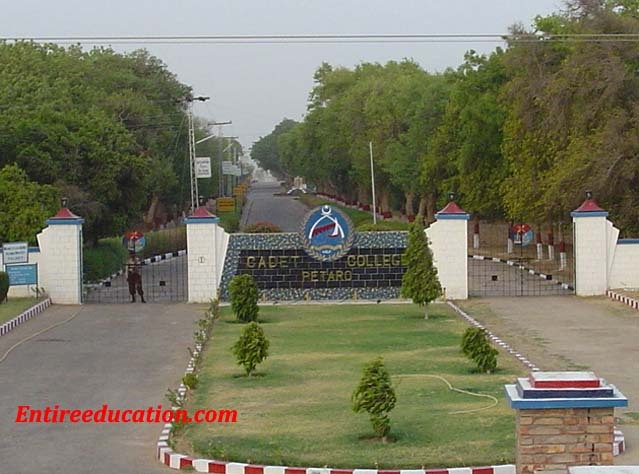 Cadet College Petaro admission section located at the district of Hasan Abdal. First of all this college was started in Mirpurkhas but after some time, this college was transformed to Petaro. The total area of CCP is 700 acres. Everything is available for the student. Our faculties polished the mind of brave cadets and make successful cadets for the motherland. Written Test Sep 07 at Cadet College Petaro. Entrance to the college is showed only one time a year for acknowledging boys to class O level (Cambridge System) subject to meet the Standard conditions. Written Examination will be taken from books Math, English, and General Science. Entrance to the college is showed only one time a year for acknowledging boys to class VIII subject to meet the Standard circumstances. Entrance to the college is only one time a year for acknowledging boys to class VII subject to meet the Standard circumstances. Allah comes your dream ture and make your way easy……. i want to get admission in class 8th. kindly inform me about when will the admission start in class 8th? When admission announced in Cadet College Petaro then we have updated on the website. New Admission will be expected in the month of Dec.
9th class admission available or not?????????????? Currently, new admission are not announced. when admission announced then we have updated on the website. Currently, admission date are not announced. When new admission announced then we have updated on the website. Hi, I reside in Sydney Australia, my name is Ashraf Khan, I want my son to get admission in your college, his date of birth is 26/01/1999, age about 16 years, can you please tell me in which class he can get admission. For Matric Class age will not cross to 14. Admission for 8th Class should be announced soon. Get Admission Form on payment Rs 1000/-. I have answer you questions. Naval Recruitment & Selection Centre Near Army Public School Sukkur. can I make fighter pilot from cadet college petaro. If you want to become a fighter Pilot then you will Join Two colleges of Pakistan Airforce. You will apply in this college when you studied in 7th class : The applicant must be above 11 ½ years or below 13 ½ years of age on first January of Admission Year 2013. No leisure in any way, in the age limit is authorized. I want to admission in class 7th kindly advice me for your form and fees. SIR PLEASE TELL US ON WHICH DATE YOU GIVE US NOTES AND ON WHICH DATE EXAM IS HELD’????.. Entry Test date will be mentioned in website. Entry Test will be held on 15 Feb.
Fee Structure will detail mentioned in prospectus of the college. Information Regarding this query you get from admission cell. Nearest station for your is Naval Recruitement & Selection Centre Rawalpindi, 102, Fazal Town, Airport Road. If you want to apply in Pak Army then after FSC you apply for officer and after matric you will go soldier post. But in this college you will apply after for 8th Class Admissions. Secondly, after 10th class you will not appear in this college. Finally, pass FSC from any college and apply for 2nd Lietuant post in Pak Army. from which class this college starts? College offered admission for 8th Class. can i get admission in 9 class? College offered admission for 8th Class not for 9th Class. I want to know that what will be the process of admission test. Is test will be taken from singaporian course (OXFORD books) or it will be taken from sindh text. and there is no sample paper attach with form ?? i wanna ask that when result will announce ?/? Cadet College only induct student of 8th Class. Sir I want to admission in class 8th advice me about fee and form of admission. When new admission announce than we have updated on the website. sir, I want to know that when will cadet college petaro induct new cadets and please tell me the date for prospectus and admission form because I really want to go and also tell what the entry test date are.